by Ana Flinder photos: Vicoria Stone. 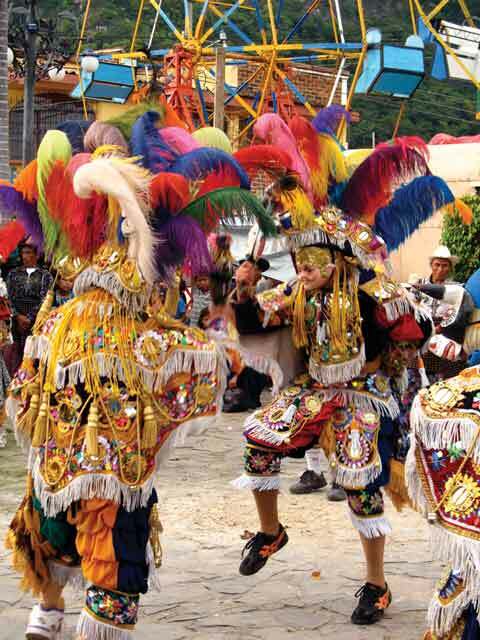 Next month brings another great opportunity to experience Guatemalan culture and festivity in a way that is very easy on the visitor, especially with the spectacular backdrop of Lake Atitlán. 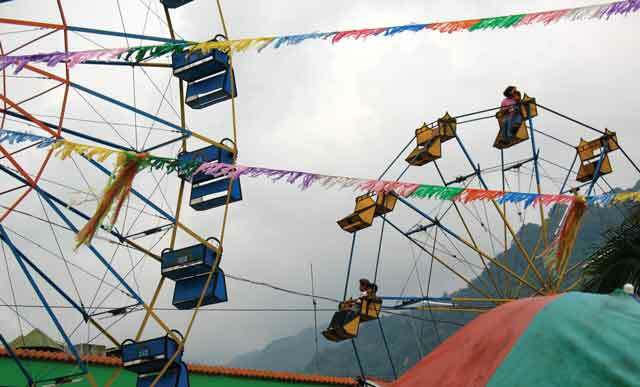 Panajachel’s feria titular—the Guatemalan version of a town fair—runs Oct. 1 through 7. The main day is Oct. 4. With its abundance of accommodations, good restaurants and the beauty of Lake Atitlán, Panajachel is a great place to visit for the feria. If the hub-bub of feria activity becomes too much, there’s always somewhere else to go and something else to do—including just relaxing. 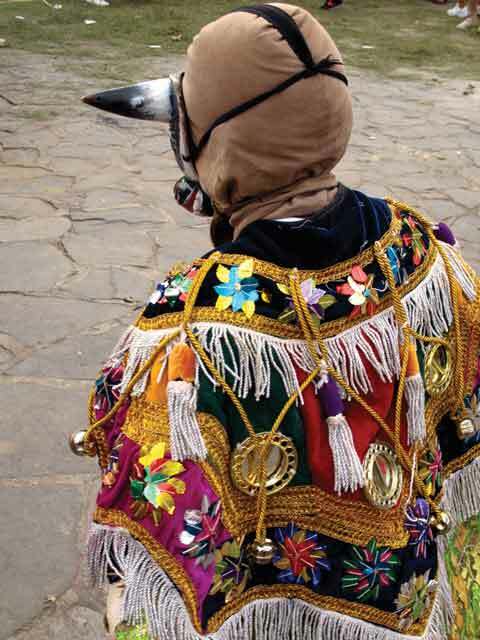 Actually, ferias are more of a combination of town fairs—with rides and vendors —and Catholic and/or Mayan ceremonies: dances, pyrotechnics, parades and processions. As part of the colonial system of converting the Maya to Catholicism was the re-naming of towns in honor of the patron saint that was chosen for them. Thus, Atitlán became Santiago de Atitlán, Chajul became San Gaspar de Chajul, etc. There were so many saint names to give away that now there are well over 300 sizable feria titulares throughout the country every year. The official (or colonial) name for Panajachel is San Francisco de Panajachel—St. 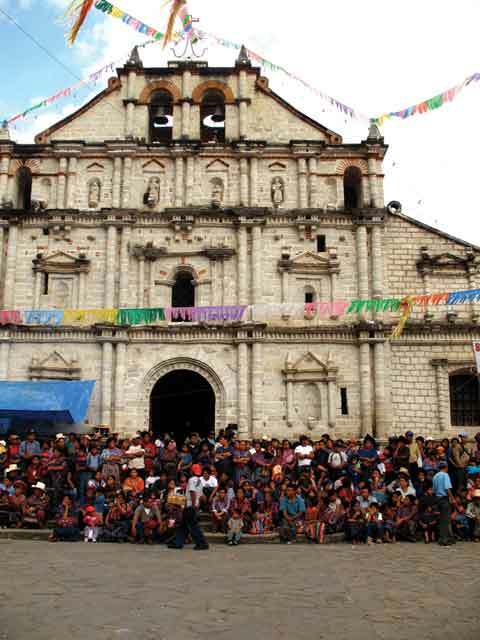 Francis of Assisi is the patron saint of Pana. 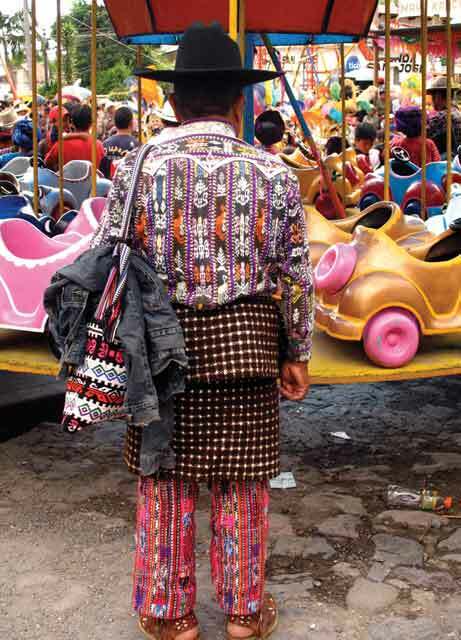 Every feria in every town has its own distinct character, depending on such factors as size, geography, accessibility, prosperity, the extent of cultural preservation, and, of course, how Catholic the town is. 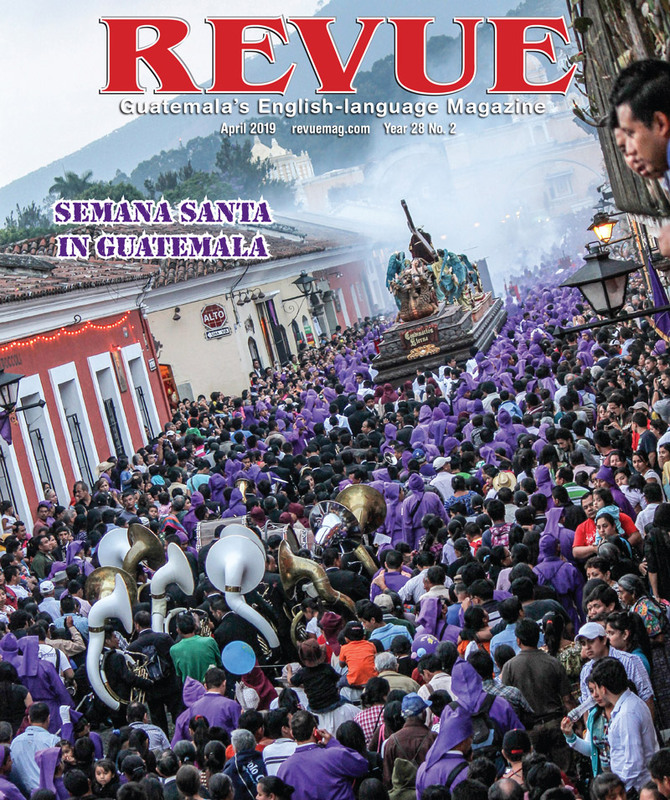 Panajachel is a largely evangelical town, but the Catholic contingent participates devotedly in the feria with a lot of hard work. 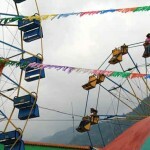 The Cofradía de San Francisco de Asís, the Fraternidad Franciscana and the Asociación Maya Kaqchikel participate with the Catholic church and the very active municipalidad to bring about the many events and activities of Panajachel’s feria. Activities include parades of floats, allegorical parades and at least four processions of the statues (imágenes) of St. Francis and some of his helper saints to the church and to their cofradía houses. Sports competitions such as soccer matches are usually on the schedule as well. And for the very Catholic among us there are innumerable Masses and sermons. Panajachel is also very big on its beauty queens, who are extolled not only for their beauty, but also for their knowledge of Guatemalan culture, including traditional indigenous culture. 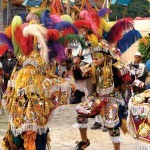 The Panajachel feria includes several dances, concerts and parties in honor of the five representatives of La Belleza Panajachelense. 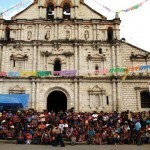 The plaza in front of the Catholic church is usually the site of many concerts and folkloric performances throughout the week. And without a doubt, any and all of these activities are punctuated by fireworks. 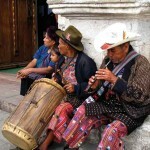 On any given day Panajachel is quite a cultural crossroads. 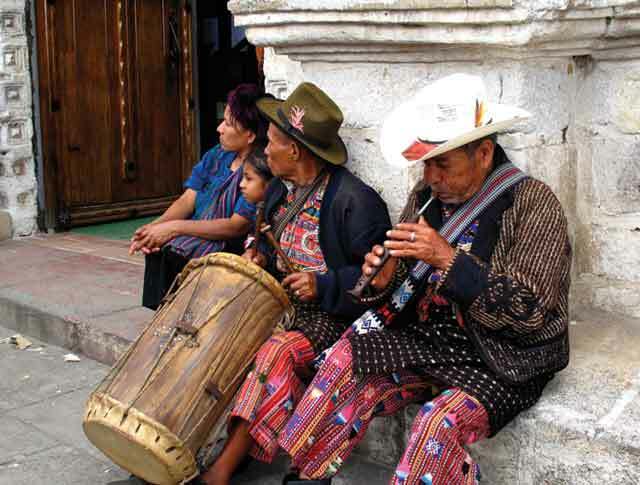 Because of its natural beauty and culture, Guatemalans and visitors alike routinely come to Pana to enjoy Lake Atitlán, and many indigenous Guatemalans come to sell their goods. And during the feria, this is multiplied considerably. 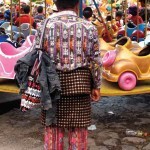 Since a feria is naturally the time to dress your best, people of many regions wear their finest, making the pa-trons as interesting as the performances. While the fun aspects of the feria can seem like what it’s all about, it’s important to remember that many of the local people attend for solemn religious activities. 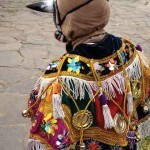 Visitors should be aware of whether ceremonies are taking place nearby and should always be respectful, including wearing clothes that cover you from neck to knees. 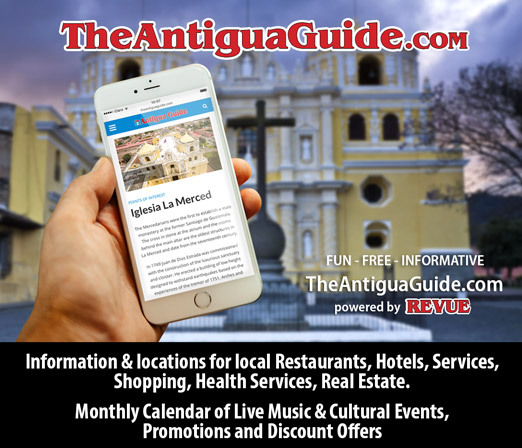 Although the actual number of events is not confirmed until a week or so before Oct. 1, schedules are indeed printed and should be available at the Panajachel municipalidad and other locations by fair time.